Key questions to ask when inquiring about child care. When can I enroll my child at Dr. Day Care? Anytime! Enrollment at all locations is ongoing 52 weeks a year, as long as space is available. What forms or paperwork do I need to provide to enroll my child? Please visit our Enrollment page for all of the forms that we require to start your child at one of our locations. Where are your learning centers located? Our Locations page shows all our Dr. Day Care Learning Center locations on a map. If you need help choosing the center that is most convenient for your family, please email info@drdaycare.com for assistance. All locations are open Monday through Friday, from 6:30am-6:00 pm. How many days can my child attend? Is there a minimum or maximum number of days per week my child can attend? There is a 2 day minimum, up to 5 days per week. Parents are asked to choose a drop off and pick up time so that we can best prepare for your child’s arrival and departure. Please choose 10 hours or less per day, up to 50 hours per week. How much is child care tuition? Our rates vary by location and your child’s age. We have weekly and daily rates (with a 2 day minimum) for Infant, Toddler, Preschool/PreK, and School Age. Please contact us and we will be happy to go over the options with you, call 401-475-7707, email info@drdaycare.com, or schedule a tour at your preferred location. Can I take a tour of the child care center during hours of operation? Dr. Day Care recommends calling to book an appointment or scheduling a tour online so the Administrator can plan time to spend with you and your family and have no other appointments booked. However, we have an open door policy, so you may also choose to stop by any time. What should I do next if there is no space available for my child? To keep staff to child ratios low, we have a limited number of spots in each classroom. To put your child’s name on the waitlist, please contact your preferred center’s Administrator and provide them with your child’s Enrollment Packet and registration fee. In the meantime, you may want to enroll in one of our other locations and transfer to your preferred location as a spot becomes available. Our site Administrators can help you with this process. Is the center open during inclement weather? Dr. Day Care Learning Center will remain open unless the Governor declares a State of Emergency, we receive a state mandate, or ­unforeseen circumstances that compromise the safety of our children, staff, and families. Parents will be alerted to any closures through the Rhode Island Broadcast System and our Facebook page. Sign up to receive alerts on center closures. Will my child have the opportunity to play outside every day? 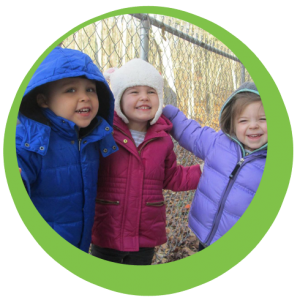 Dr. Day Care believes children should have the opportunity to play outside every day. Outside play provides children with many different learning experiences. Definitely! Dr. Day Care provides free nutritious breakfast, lunch and snack for all children in our program. 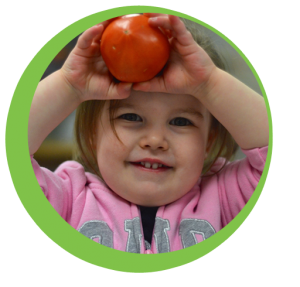 Our centers follow the CACFP (Child Adult Care Food Program) for your child’s optimum nutrition. By eating meals with friends and teachers, meal times provide enriched social experiences. We often find that children are willing to try new foods while seated with their peers. Is Dr. Day Care nationally accredited? Yes! Dr. Day Care Learning Centers are nationally accredited by National Early Childhood Program Accreditation (NECPA). To receive national accreditation, centers must meet and maintain high standards for program and staff in safety, health, education, and more to prove best practices. Dr. Day Care Learning Center complete an extensive self-study process, measuring the program and its services against the NECPA standards. These standards assess quality in the areas of adult and child interaction, staff qualifications, health and safety, physical environment, administration, and parent and community relationships. Every three years the program must be re-evaluated in order to become reaccredited. Who can I expect to see interacting with my child? 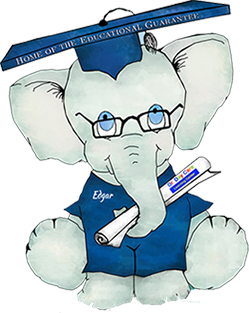 All Dr. Day Care teachers have a high school diploma, up to a Master’s degree. Staff must be 18 years or older, pass a background check and criminal record check, and have experience working with children. How often is staff training provided? All staff members are required to complete professional development. Trainings are offered monthly on important topics such as CPR and First Aid, communication, learning through play, helping children with special needs, and more, based on the needs and interest of our staff. Yes, a child care health consultant (RN) is on staff and is always on call for all Dr. Day Care centers. What learning opportunities are available throughout the day? Experiences are provided that meet children’s needs and stimulate learning in all developmental areas. The curriculum and teacher interactions are responsive to individual needs of the child and abilities and interests. See infant, toddler, preschool, and school age information and daily schedules here. Dr. Day Care’s Vice President of Education works with a team of teachers to create a monthly curriculum, which is guided by our Educational Framework and the Rhode Island Early Learning & Development Standards (RIELDS) to ensure each child is meeting developmental milestones. These milestones are tracked by Teaching Strategies© assessments and Parent Teacher Conferences. How do you teach children positive, appropriate behaviors? Dr. Day Care participates in a program called PBIS (Positive Behavioral Interventions and Supports). PBIS develops school-wide systems that support staff to teach and promote positive behavior in all students. We encourage the children to follow three universal expectations- be safe, be kind, be responsible. .
What is the nap and rest time policy for children at the center? Rest time allows children to rest, sleep, and/or relax their bodies. While a child is resting on his/her personal cot he/she can read books and listen to relaxing music. Children are encouraged to use quiet voices so they and their peers can rest. How will I be informed about my child’s day at Dr. Day Care? 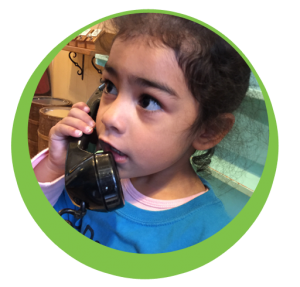 Communication is very important at Dr. Day Care. Our teachers will communicate with each parent at the end of every day. Classroom logs are kept daily for each child. In addition, many of our centers are offering a new daily report called Tadpoles, that parents will receive via email detailing your child’s day (this new technology is not yet available at all locations, contact your Administrator for details). Do you have field trips, enrichments, or special guests? 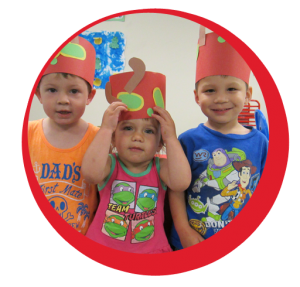 We invite special guests to our center such as community helpers, book mobiles, magicians, etc. Our Enriching Curriculum provides opportunities for our children to discover new experiences in cooking, foreign languages, gardening, sports, and more. 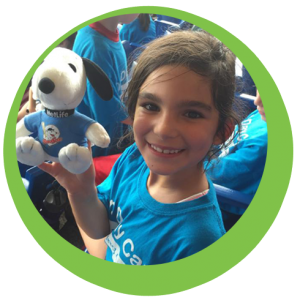 Students ages 4+ attend quarterly field trips, some past field trips have included Adams Farm, a PawSox game, Pea Poddery studio, and more. Our School Age summer camp students attend field trips at least once per week! How can I get involved in center activities? Parent involvement is very important to Dr. Day Care. Parent/Teacher Advisory groups meet quarterly to discuss upcoming upcoming events, curriculum, fundraising, parent networking, and more. Check with your center Administration for more information on how to join. Center events occur regularly – keep on the lookout for information. We also welcome parents as volunteers and chaperones. Speak to your center Administration about volunteering your time, either in the classroom or at events. We love having parents share a story at circle time, join in during events, and just spending time in our classrooms! All child care facilities must be licensed in RI by DCYF (Department of Children, Youth and Families). All of our centers are licensed, insured, nationally accredited, smoke free, and drug free. Is there someone always available to answer questions? Yes, you can call our home office at 1-877-333-1393 or email us at info@drdaycare.com.